While hubby and our youngest watched Godzilla Sunday afternoon I headed into my craft room to get some cards made. 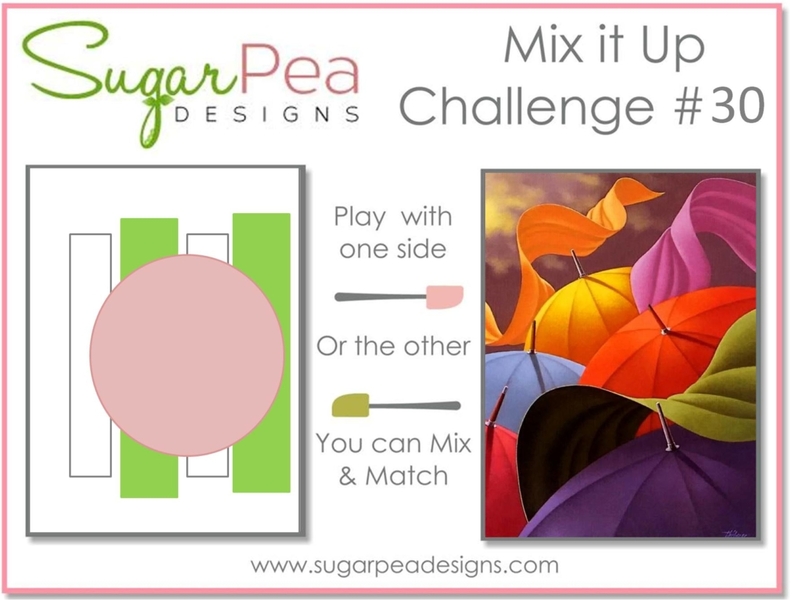 I played along with a challenge I haven't joined in a while, the SugarPea Designs Mix It Up. You can play with the sketch, the inspiration photo or both. I chose to go with the sketch. 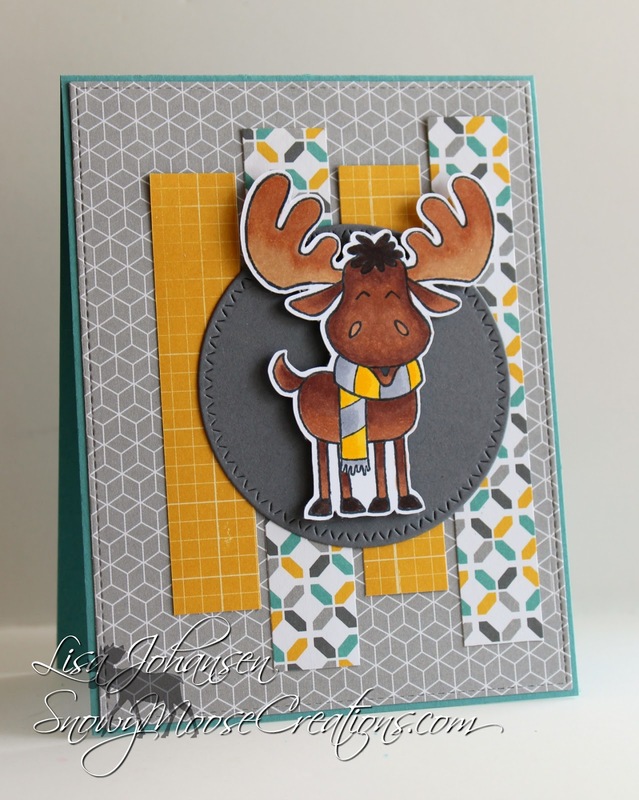 I used one of my favorite stamps from them, the moose from the Merry ChristMoose set. He can be used for any occasion, I just color his scarf to match whatever colors I am using on his card. 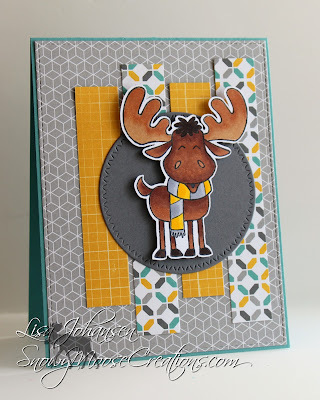 For this card I went with yellow and gray with a hint of teal color. I used some retired SU DSP for the base layer and strips. I left a sentiment off so the card can be used for any occasion. What a darling moose! I love your coloring and the papers you used with him! Thanks for joining us at SugarPea Designs! Thank you so much Alicia, I appreciate that! Oh my gosh Lisa, he is adorable. I love how you used the sketch and papers. Brilliant. So happy you joined us at SugarPea Designs this month. This is super cute and I love the papers you used. Thanks for joining us, Lisa!